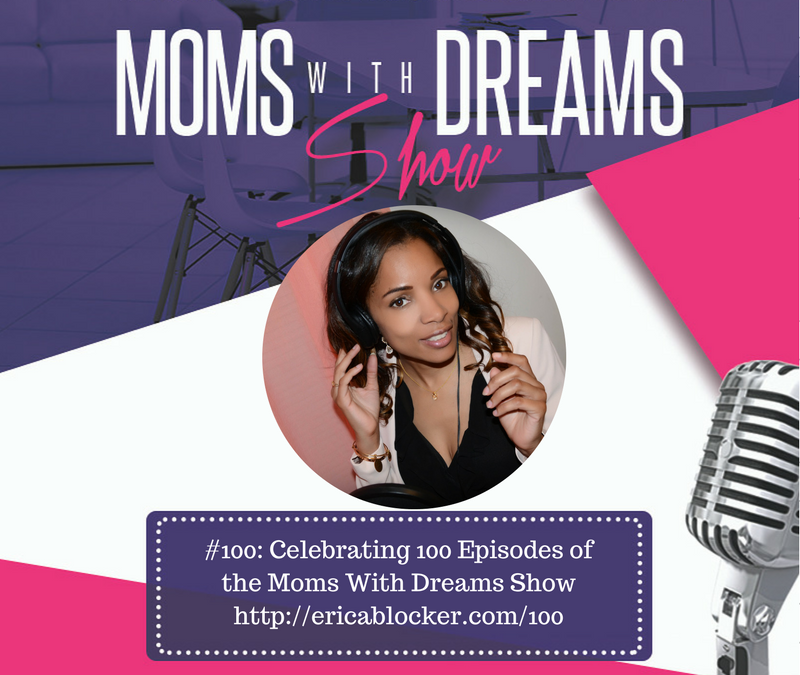 This week is a huge milestone as we are celebrating the 100th episode of the Moms With Dreams Show! I’ve been anticipating this day for several weeks now. I remember when I started my podcast back in May 2015. Producing one show per week felt like an eternity away from 100, but now it’s finally here! Over the past few weeks, I’ve heard from other podcasters that I am the exception in the industry – that most podcasts don’t make it past 20 episodes, let alone reach 100! I had no idea since all the podcasts that I listen to are successful with hundreds of episodes. This conversation was my reminder to stop and acknowledge myself for making it this far – something that I often forget to do. Instead of interviewing a guest or teaching a lesson, I invited my listeners and previous guests to join me in this episode. After my extended introduction, you’ll hear audio clips of them sharing a few words about the show. I am grateful for my community and want you to have access to these wonderful people. Below you’ll find their names, a brief bio, contact information and a link to their episode if they were a guest. proving that it’s never too late to be great. 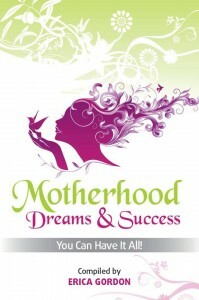 Cherise Patterson is the Founder and CEO of Such A Mom, LLC. Through her faith centered A.D.D Management Coaching Program, Cherise supports and teaches Moms with children affected by A.D.D how to care for themselves, get organized, “Achieve their Desired Dreams” and thrive during elementary school years into young adulthood. Cherise is a dedicated wife and loving mother who cherishes quality time with her family. Dr. Nyali Taylor is a vascular surgeon at CTMH | Doctors Hospital. After attending Rutgers University as a scholar-athlete, she obtained dual degrees in Medicine and Public Health from Drexel College of Medicine. Dr. Taylor then completed her general surgeon training at the Hospital of the University of Pennsylvania, followed by a vascular surgery fellowship at Cooper University Hospital. Academically, she has co-authored two textbook chapters and several peer-reviewed scholarly journal articles. Dr. Samantha Madhosingh is a Licensed Psychologist, Bestselling Author, & Speaker. She received her doctorate in professional psychology from The George Washington University and has dedicated more than 20,000 hours to researching, understanding, & solving the infinite possibilities of human potential, behavior, & performance. Dr. Samantha is the founder and CEO of ElevateHER, an organization serving women leaders (and interested men) in business and in life by providing key strategies to rewire their brains, achieve mastery in mindset, communication, & relationships, and ultimately create a legacy of lasting wealth. Famira Green is a creative brand strategist and founder of FAMIRA Media Group (www.famiragreen.com). She is the creator of the #EMPRESSnation Movement Creator and host of the upcoming web tv show, #BeDifferent #BrandDifferent, where she will connect with entrepreneurs who are not afraid to move to the beat of their own drum and do things their way. With her branding and digital media company, Famira taps into her intuition and teaches heart-centered women entrepreneurs how to use the power of storytelling and visual branding to create a brand empire of influence, impact, inspiration and income. Dr. Jen Riday is the Women’s Happiness Expert and host of the Vibrant Happy Women Podcast. She helps women find greater light and meaning – regardless of their circumstances – through meditation, listening to intuition of a Higher Power. Jewell Robinson is the CEO of Jewell Robinson Insurance and Financial Services. Her business is certified by the California Dept. of Insurance which allows her to be licensed in, but not limited to, the following states; CA, AZ, DE, TX, GA, IL and VA. Her platform is to educate clients and the community on creating healthy financial habits. Helping people achieve their dreams has always been Joe Pardo’s goal in life. In early 2014, he left his family’s $100 million business to pursue his goal and became a 4th generation entrepreneur. Joe started the Dreamers Podcast soon after his exit from the family business to inspire others to dream big. He continues to give back and make an impact through this work with start-ups, afterschool programs and his educational conferences. Judy Graybill is an international authority on stepfamilies and co-parenting after remarriage. A Certified Stepfamily Coach, Judy sits on the Advisory Board for Stepfamily Systems Co-Parenting Center, has helped step couples in 8 countries across 4 continents, and is also an inspirational speaker, consultant, and writer on improving remarriages, mending relationships, and creating harmony at home. For nearly a decade as Executive Director of Sensible Steps, LLC, Judy has given clients a-ha’s, real world solutions, empowerment, a stronger spousal relationship, and peace of mind. Danielle K. Howell is “your online success coach”. She empowers you to create your economy and claim your freedom. Knifie Burks is a licensed real estate broker with 17 years of experience. She also supports entrepreneurs from various industries organize, automate, delegate and develop effective social media systems that position them as experts in their chosen industries. Kristin Young is a certified professional coach, marriage enthusiast and speaker. She created her organization, Living the Vows, to assist others with bringing joy to their marriages. Kristin wants to see healthier, joy-filled marriages and believes that one giant step in this direction is being intentional about marriage. Kym has been coaching women for over 15 years in circles, workshops and individually. Kym has recently launched her Born To Coach Program, a12- week program that helps coaches expand their coaching to deliver their unique message and attract their unique audience. Marc Mawhinney is a lifelong entrepreneur who’s on a mission to help coaches build successful businesses! 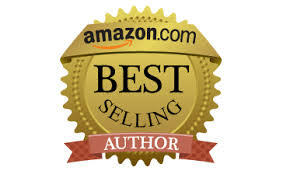 He achieves this with his coaching programs; his podcast, Natural Born Coaches; his Facebook group The Coaching Jungle, and his exclusive print newsletter – Secret Coach Club. Dr. Marilyn Porter is most widely known for her work as a spiritual life coach, author and ministry development. Dr. Porter now stands alone in a very sacred and savvy space known as the “The Scatter Brained Genius’ Coach”. Her journey to becoming The Scatter Brained Genius’ Coach has been colorful with quite a few pit stops and pitfalls. She helps clients transform their lives and stamp out chaos, confusion and stagnation. Sabrina Blocker is a proud single mother who is very active in her church and in song ministry. She has a special interest in women’s issues and continues to help inspire and lead women through life’s many challenges. Sabrina can be found enjoying life – which includes spending precious time with her children, family, friends and helping out in her church and performing the work of God. Sarah Aderson is the authority that spiritual and visionary entrepreneurs depend on to help them transform their services into digital and physical products. She empowers you to build an empire instead of a business. Sarah is an international speaker, bestselling author, marketing strategist, and empire builder. Her services and products are infused with infinite love. When she’s not creating products, you can find Sarah in Atlanta, GA enjoying trail mix and time with her awesome son. Shakesia Morgan is the founder of Just Simply Hair Care Products. After suffering from scalp ailments from the age of 12 and witnessing her daughter inherit the same ailments, she said “enough is enough” and became a hair enthusiast. Determined to end the cycle, Shakesia created quality, all natural products that stimulate hair growth. Shakesia is extremely passionate about helping others not only reach their hair potential but regain their confidence. Telese Hampton is the owner of Me and My Girls Clothing, an online clothes boutique. Her passion is empowering young women. In her free time, Telese enjoys skating, traveling and spending time with her family. She is a proud wife and mother of two wonderful daughters. Terahshea McCray is a fitness and nutrition expert with numerous certifications from leading international health and wellness organizations. In addition to training and coaching clients, Terahshea is a consultant with New Legacy Leaders Project. His personal mission is to help combat unhealthy lifestyles that create generational problems for Americans. Teresa Robinson is a Yoga Alliance Registered, 200-hour Certified Yoga Teacher in Central New Jersey. She began practicing at the end of 2014, after going through an emotionally challenging year. Developing her own practice helped her overcome depression, grief, and anxiety. She became a teacher to pay it forward in hopes of bringing the gift of yoga to everyone who needs it. She teaches weekly mixed-level flow classes in Piscataway, Bernardsville, and Warren. Teresa’s classes are fun and energetic, with a strong emphasis on the Universal Principles of Alignment, providing a safe and mindful approach for students at any level. I’ll be wrapping up this season soon and taking a short summer break to return in the fall. If there are any topics you want me to cover during my next season, you would like to be a guest or know someone who would make a great guest, please let me know. You can leave a comment below or email me at Erica@momswithdreams.com. Thank you for being a part of my journey to 100 episodes! I am grateful to have you in my community and look forward to sharing the next 100 episodes with you. Congrats Erica! I am so grateful to have found your podcast. You are my online accountability partner in my mind. LOL 😉 Your podcast has so much purpose and I am blessed because of it. I am a single mother of a one year old daughter working my way through my Master program while working full-time and slowly trying to make my presence in the Mommy blogger community. I joined your community somewhere during episode 80 so I get to scroll through and catch up on so many great shows throughout my car ride, workout and even work (shhh lol) and it gives me so much more motivation during the week to push through knowing so many other Moms out there are still living their dreams. I pray for you on your journey to your doctorate and hope to hear more on a podcast later this year ; ) Keep going sister. We are all rooting for your success.